Probus, his radiate and cuirssed bust right. 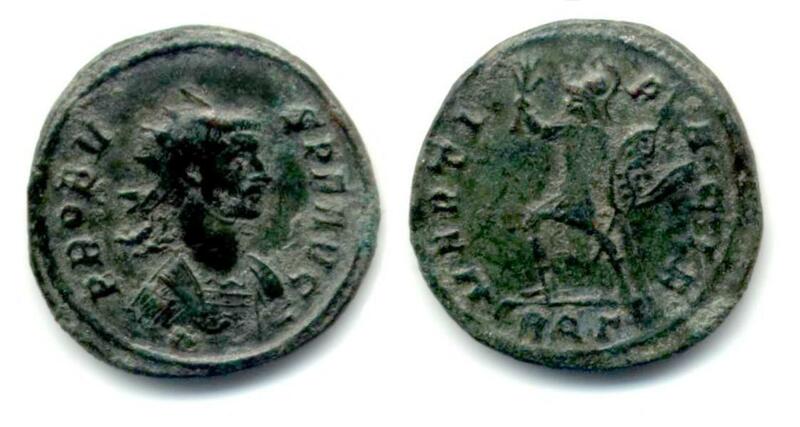 Minted at Rome, 7th emission, 3rd officina in 282 A.D.
Webb, P.H., "Roman Imperial Coinage", Volume 5, Part 2 (RIC), p36, nr. 177. Sear, D.R., "Roman Coins and their Values" (RCV Millennium Edition), Vol. 3, p479, nr. 11993. Van Meter, D., "Handbook of Roman Imperial Coins", p262, nr 27.